The Janeway Children’s Health & Rehabilitation Centre provides excellence in specialized health care in a compassionate, supportive environment, to our province’s sick and injured children. Each child cared for at the Janeway inspires us with their courage and determination to be well. It is this determination that drives our staff to achieve the best possible outcomes for these children, constantly exploring and researching new treatments and health care regimens, maximizing every available resource. The 800 nurses, technicians, therapists, and support staff and 85 doctors, within the Janeway Children’s and Women’s Health Program, provide primary, secondary and tertiary care services, on both an inpatient and ambulatory basis, for children from infancy to 18 years of age. As well, a full range of maternal services are provided in obstetrics and gynecology. The Mental Health and Addictions Program operates services located in the Janeway Hospital as well as the Child and Adolescent Outpatient Psychiatry Service. The Janeway, in affiliation with Memorial University, serves as a primary clinical resource for pediatric and obstetric teaching and research. Through a broad range of health professions in medicine, nursing and related health services, the hospital and university work together – training the health care providers of tomorrow. To contact departments within the Janeway Hospital please call 709-777-6300. 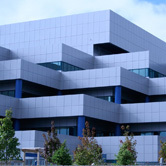 Each year there are approximately 123,000 patient visits and admissions to the Janeway.